(Reuters) - Formula One's governing body must lay down the law on testing because a punishment handed out to Mercedes last week was too lenient to deter rule-breakers, Red Bull team principal Christian Horner said on Wednesday. "They've deemed it illegal to test but the sanction for doing that test doesn't in our opinion fit the crime," he told Reuters in his office at the Red Bull factory in central England. "I think we need further clarity from the FIA to clear up what is and isn't permitted." A tribunal in Paris reprimanded Mercedes, the team of 2008 champion Lewis Hamilton, and ordered them to miss a three-day young-driver test next month for taking part in a 1,000-km Pirelli tyre test in Spain in May with their 2013 car and current race drivers. Mercedes had argued the test was carried out by Pirelli, who are not a competitor in the championship, and they participated in good faith after verbal assurances from the FIA's technical head Charlie Whiting. The rules ban testing with current cars during the season and the sanction was mocked by rivals Ferrari, who had joined champions Red Bull in protesting against Mercedes, as little more than a light 'rap across the knuckles'. "The verdict was, I believe, right. 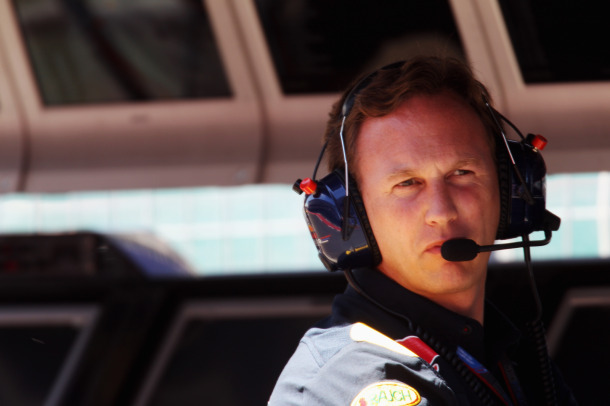 They found them (Mercedes) guilty of breaking the sporting regulations and the sporting code," said Horner. "What is slightly confusing is the leniency of the penalty," added the Briton, speaking as his championship-leading team prepared for a track battle with Mercedes in the British Grand Prix at Silverstone this weekend. "The problem with the penalty such as the one Mercedes have been given is that it is not a particularly strong deterrent to break the sporting regulations. I should think it was met with a huge sigh of relief at Brackley (the Mercedes factory)." The Times newspaper published an interview with Formula One's commercial supremo Bernie Ecclestone on Tuesday in which the Briton, on being told the tribunal's verdict last Friday, replied: 'Just a reprimand is it? That's great'. It also said a relieved Mercedes motorsport head Toto Wolff had called and told Ecclestone he would buy dinner at Silverstone. Mercedes principal Ross Brawn said on Tuesday that the penalty was 'pretty severe' and more significant for his team than rivals were suggesting, but Horner questioned that and said there should have been more of a sporting penalty. "Yes, it's probably annoying for them to miss it (the young-driver test), but it pales into insignificance compared to the benefit you would see from running your race drivers around a race track for 1,000 kilometres on a circuit that has been rubbered in two days after a grand prix weekend," said the Red Bull principal. "You don't test with young drivers over the winter for a reason. You have a limited amount of test mileage with your cars and you choose to put your race drivers in because they give you the most relevant feedback." Horner also questioned Ferrari's use of a 2011 car in a separate Pirelli test in Barcelona before the Spanish Grand Prix, which the Italian team then won. "The most important thing moving forward is to get some kind of clarity on what you can and can't do, not just with the 2013 car, but also the 2011 car and tyre testing in general," he said. "Ferrari, within the regulations, ran that car. But is it right for a competitor to be doing over 1,000 kilometres of testing on tyres you are potentially racing with in the heat of a championship battle?" Asked whether a win for Mercedes this weekend would be 'tainted' by what had happened, Horner avoided a direct reply. He pointed out that at the Spanish Grand Prix, Mercedes had locked out the front row in qualifying and then sunk in the race with their cars suffering from high tyre wear. "The very next grand prix (after the test) they had one of the lowest degradations. That might purely be coincidence, and I'm sure the circuit (Monaco) lends itself more to that," he said. "But in Montreal (the race after Monaco), they didn't experience the tyre issues they previously experienced, so let's see."